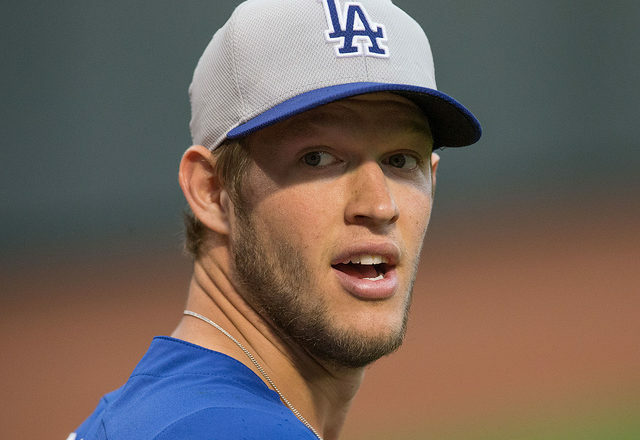 Clayton Kershaw has proven over the years to be one of the best pitchers in the history of Major League Baseball, but this spring training has not been one to remember for the Dodgers ace. Kershaw had announced that he was going to take a step back from throwing for now, in a situation that has some Dodgers fans worried about the upcoming season. Just how concerned should the Dodgers faithful be after the latest setback? The short answer to this question is not very concerned. Kershaw said that he didn’t feel great after playing catch during spring training activities, which is never something that you want to hear from a key player. But manager Dave Roberts had attributed the situation to shoulder inflammation, which hopefully is not something that will have a long-term impact on him from a structural standpoint. In the short term, Kershaw’s absence could be an inconvenience for the Dodgers, who are hoping to get to a third-straight World Series this year. If he was to miss some starts early in the season, it could put the rest of the starting rotation into a tougher spot, which could strain the bullpen in the cruel game of dominoes known as managing a pitching staff. But, the important thing for the Dodgers is having Kershaw ready for another playoff run. Kershaw has earned a reputation for not being a great postseason pitcher, with an ERA of 4.32 in his playoff career. A lot of that reputation has to do with the high expectations he sets by pitching so well during the regular season. But given how long the MLB season is, it might not be the worst thing to have Kershaw get some rest in April to have a fresher ace in October. Given how dangerous the Dodgers line-up is offensively, the team might be able to afford to give Kershaw some rest anyway. They were one of just five teams to score 800 or more runs in 2018 and averaged over 10 runs per game in their first three spring training games of 2019. They didn’t land Bryce Harper, but they might not need him with how potent their lineup already is. With or without Kershaw at the start of the season, the Dodgers are the favorites to win the National League once again. Most MLB picks see them taking on either the Boston Red Sox, Houston Astros, or New York Yankees in the World Series. The important thing for the Dodgers this season will be whether or not Kershaw is healthy and pitching well at the end of the season, not the beginning. Well written and deeply thought over. Actually Paul, they are pretty balanced. Of the 12 position players who will most likely make the roster 7 are righty’s. Barnes, Turner, Martin, Hernandez, Taylor, Pollock and Freese. The other 5 are lefty’s, Bellinger, Seager, Pederson, Muncy, and Verdugo. Their problems versus LHP was also because some of their RH bats last year were not very good against them. Puig in particular. They are LHP heavy with 4 starters who are LH, but their bats are pretty balanced now. Of course this can change, and the late signing of Brad Miller shows that Friedman is thinking ahead in case one of his super utility guys does not have a decent start or an injury. Since I don’t trust MLB, these injuries are faked since the invention of the wild cards. Clearly they don’t need Kershaw for the whole season anymore. Why would they have extended him if he was damaged goods . Probably for the public’s approval and to appear loyal to a great player like Kershaw. They can afford mistakes like this, if it is a mistake. We will see how the season plays out. Anything can happen. MLB. Sheesh, where do you guys come up with ideas like this. Re-signing Kershaw was as much a marketing decision as a decision about his value the next three years. 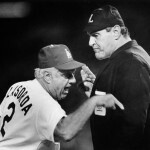 Personally, I think Kershaw is smart enough to adapt to his changing stuff ala Maddux who was still effective at the end of his career with a fastball that topped out into 80’s. But even if he is not as effective as he once was – who else has been? – He’ll still be a very very effective #2 or #3. I get your point and find it valid Dan. But Maddux didn’t have Kershaw’s injury history. Clayton extended his time spent on the DL to three straight years and I won’t be surprised when it becomes a 4th year soon. Friedman said it best several days ago – “there’s just not a lot of clarity” to Kershaw’s injury. Shoulder inflammation is not uncommon in certain professions. MLB, with its overhead throwing motion is one of the professions that suffers from a lot of this type of injury. I can recall playing tournament softball for years and pitchers there often threw game after game Friday through Sunday, often throwing hundreds of pitches without any issues whatsoever. Some of those guys pitched every weekend into their 40s. Some Major League pitchers are done, or near done, by 30. I don’t know what’s going on with Kershaw but it’s clear to me that there is no clarity with what’s going on with him.